The last pages have been completed and I've given the album to H so she can sort out getting it to her mother-in-law on Mother's Day. I honestly thought it would be harder to put together an album for someone I barely know. I sometimes struggle with my pages when I want to add journaling, so not having to worry about it on was definitely a plus. I also used up a bunch of paper that I'd been holding on to, and this time working with the 8.5"x11" actually made me think I might like to switch back to that size. We'll see! Here are the pages for her sons with their letters. Again I kept the pages simple, and pulled in scraps from previous pages to maintain cohesiveness throughout the album. If you'd like to go back and see the other pages I've shared, you can find them HERE and HERE. wow this is just an awesoem gift. the pages are awesome! You did an awesome job. I have a hard time scrapping for someone I don't know. I have a lot of people ask me to make something for them. I struggle. This is such a treasure! 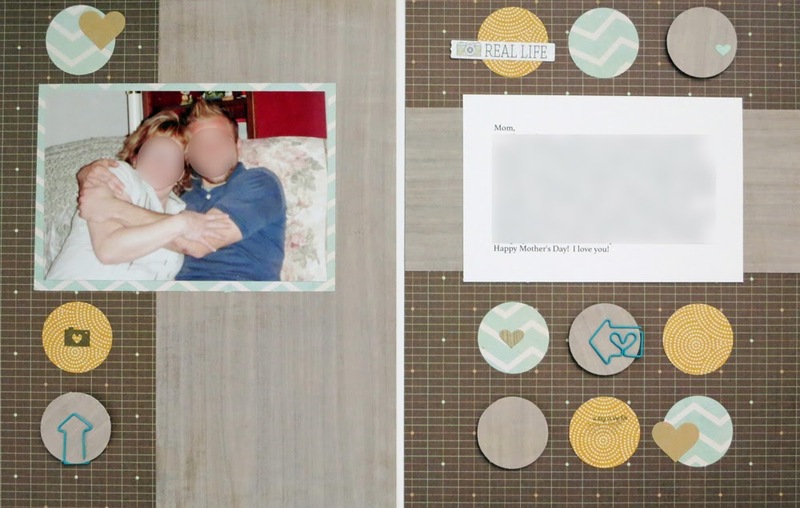 I'm not sure I could scrapbook for someone else, so I think this is amazing. 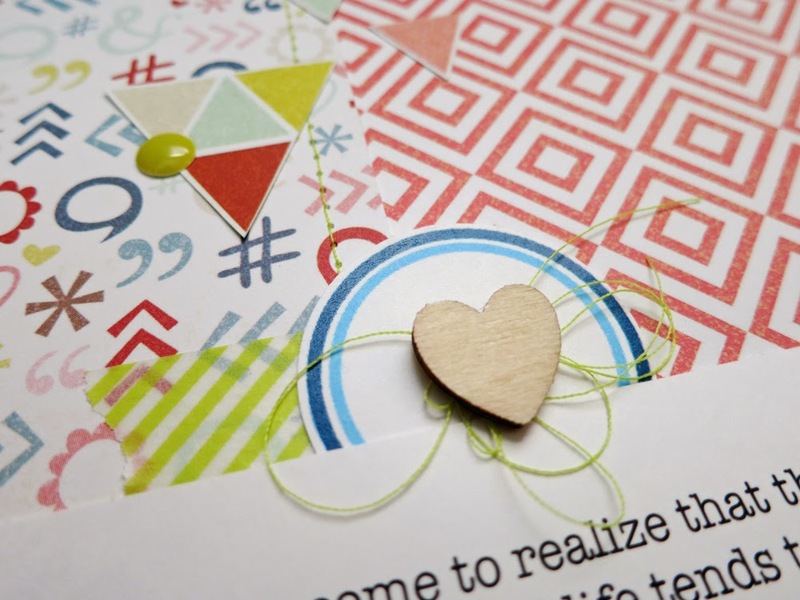 I love the papers you chose and it will be such a wonderful gift. 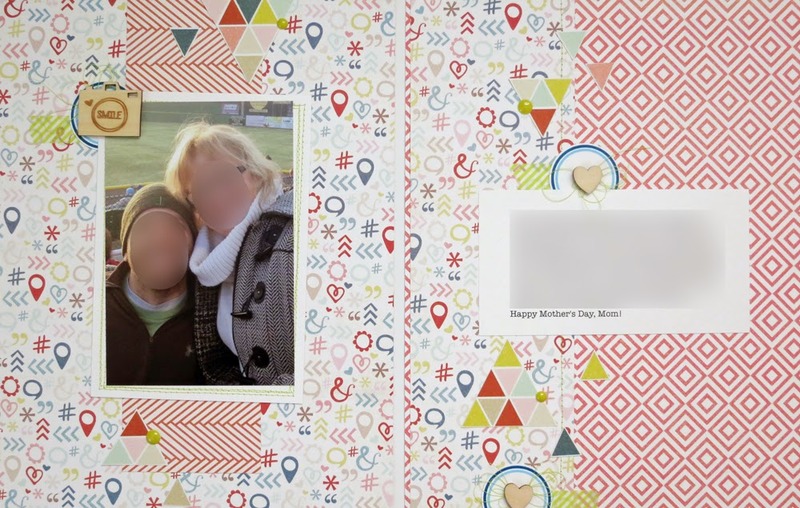 I hear more and more scrapbookers are going back to 8.5x11 pages. Elise, your friends mother is going to love this!!! I always do simple pages when I scrap for others and have to say even in my own albums those are the ones that seem to stand the test of time. Your pages are simple but elegant!